Are we succeeding with an enterprise transformation? Over the past few years I’ve had the amazing opportunity to work with over 65 different teams in various levels of small, medium, and large businesses. In each case I was either leading the teams or advising the teams on how to become more adaptive. When I joined LeadingAgile, I was thrilled to have access to the systems and tools that Mike and Dennis had employed and discovered while working with the hundreds (if not thousands) of teams that they had coached over the years. One of the first tools that I encountered was a set of adoption attributes that we could share with a team to would help the team learn about how teams operates when they are valuing: (1) individuals and interactions over processes and tools, (2) working software over comprehensive documentation, (3) collaboration over contract negotiation, and (4) responding to change over following a plan… or the agile manifesto. From the adoption attributes I was able to work with a team to both show them the areas where they were seeing good adoption as well as the areas where they need to grow. This was incredibly helpful for the team and me as it provided a spot light into areas where I could target coaching while at the same time giving the team the opportunity to grant me permission to coach in that area. As time went on, I had more and more opportunities to participate in organizational assessments that were aimed at understanding the organization’s business drivers, identifying their change management concerns, and identifying a pilot slice of the to-be value delivery structure where the transformation should start. Throughout this process I learned more and more on the adoption attributes and began thinking holistically around how to establish a repeatable system of transformation that was oriented around multiple phases of adoption. This proved really helpful when framing up a roadmap for a transformation and thinking about it as an iterative and incremental process. I was able to work with both teams and business leaders to clarify a pathway towards the end-state that didn’t require me to solve all of the adoption problems at the same time. My initial hypothesis was that each of the phases would have different metrics to inform me that the key goal of the phase had been accomplished. What I found, though, was that changing the metrics from phase to phase inspired confusion about how to know if the organization’s transformation was succeeding in delivering on the initial business drivers. In addition, I found that hitting phase 5 based on the adoption characteristics would indicate that a slice of the organization has adopted practices that could help deliver the business drivers in spirit; but, isn’t actually using business metrics to help them clarify along the way to ensure that they are able to deliver fast roi with quality and predictability. My question then became, how can I best use the business drivers’ key performance indicators as a focusing point for throughout the transformation. One of the tools I came across for connecting the various perspectives of a organizations health to the organizations KPI’s was the balanced scorecard. So… here is my question/new hypothesis: is it true that for a transformation to really deliver the end-state goal, it needs to be measured through the organization’s balanced scorecard or other business metric dashboard? I think this is true and I also would advise that a transformation not be nesessarily deemed a success until the scorecard demonstrates that the business is responding to change, accomplishing fast ROI with the desire quality and predictability within their markets. 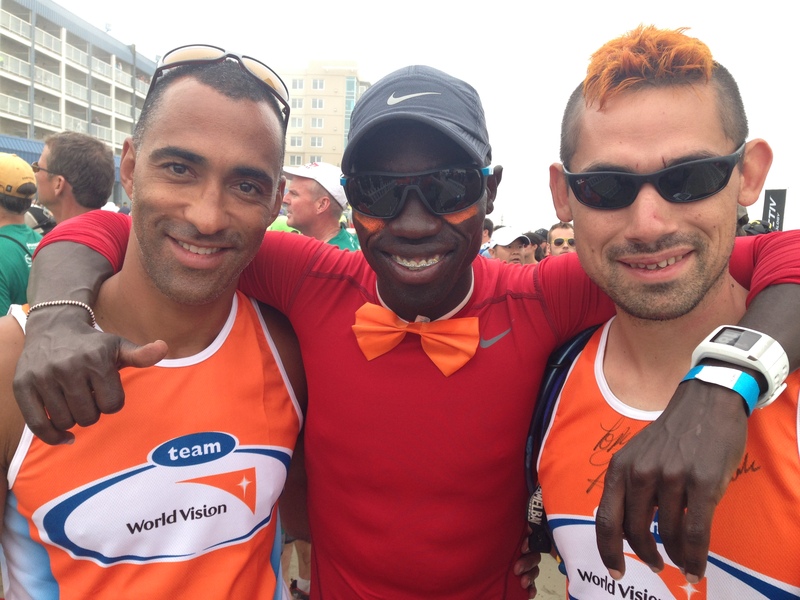 A year ago my friend, Brian Frazier, completed Hood To Coast as part of team world vision. Leading up to the race, Teena and I were excited by the updates that he would send out and really were inspired by Lopez’s story and moreover Lopez’s desire to serve God and not waste the opportunity that has been given to him as an elite athlete, an impossible position that only God could provide. As a boy, Lopez expected to life all of his life with his family in a small village located in south Sudan. His parents were providing for their family through raising crops and a heard of cows. His mother called him Lopepe, or fast. At the time, Sudan was engaged in a civil war. One Sunday morning rebel soldiers swarmed on the church where Lopepe was attending church with his parents. At 6 years old, he was torn away from his mothers arms and carried off to become a child soldier in the killing fields of Sudan. Lopepe was among the younger of the children taken that day. As a young child he was considered a burden on the rebel forces. Their expressed intent was to hold the younger children captive until they either grew big enough to fight or died. To Lopepe’s surprise, there were a few older boys from his village who were also taken captive at the same time as he that desired to look after him. After a few weeks, the older boys found an opportunity to escape the rebel camp in middle of the night. The boys and Lopepe ran for three days from the rebel camp all the while beleiving that they were running back to their homes. After 3 days, the boys reached the boarder of Kenya and were taken in as refugees of war where he stayed for over 10 years. In 2001 Lomong was plucked from the Kakuma refugee camp and provided a chance to be a child again. His life was once again suddenly changed as he went from no opportunities and no home country to endless opportunity when a loving family who would fight for him opened their door and hearts to him. Through the care and guidance of his American family, Lopez was able to graduate high-school, receive a bachelors degree from the University of Oregon and become an Olympian runner. Lopez had been given a unique perspective on life. Running is pure joy. School was pure joy. As I arrived on Thursday evening to the team dinner where we received our packets and reviewed logistics for the following morning I was amazed by how joyful Lopez is. It shows, he has a passion for helping and he knows what it is like to be left wanting. More amazing was the realization that over 120 other people were standing in the room with me and all of them have the same level of passion and desire to raise awareness and meet this need. Friday morning came quickly; but, not quick enough 🙂 All night Thursday I tossed and turned waiting to hear the alarm go off at 4:00 AM PST. I had set that time to ensure that I had plenty of time to get ready, pack up my gear, and head down to check out of the hotel and before the team gathering and breakfast started at 5:30 AM. During breakfast we learned that Lopez and his fiancée, Brittany, would ride out to Mt. Hood with our Van. During the ride we had the chance to talk over some of the stories from his book. Both he and Brittany enjoyed hearing how my boys responded to hearing about Lopez’s crush on Brittany (lots of laughing and giggling… ping me if you want a copy of the book to hear the rest of the story). We talked about training, his family and other fun topics… like rocket science–Brittany has a masters in Physics and is an officer in the US Air Force. We were all amazed by the vistas as we drove from the hotel in Portland to the Timberline lodge 6000 ft. above sea level on Mt. Hood. I’ve attached a few pictures for those of you who are not on facebook. 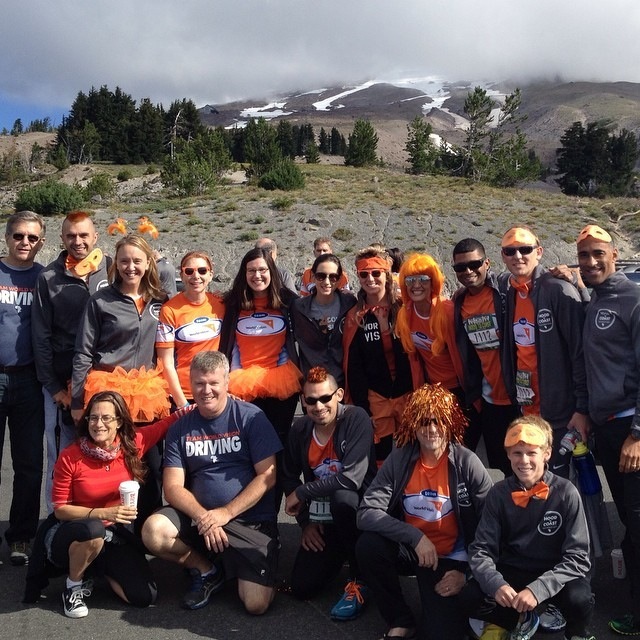 The team gathered like a massive orange blob in the timberline parking lot just a few hundred yards away from the official Hood To Coast start line. 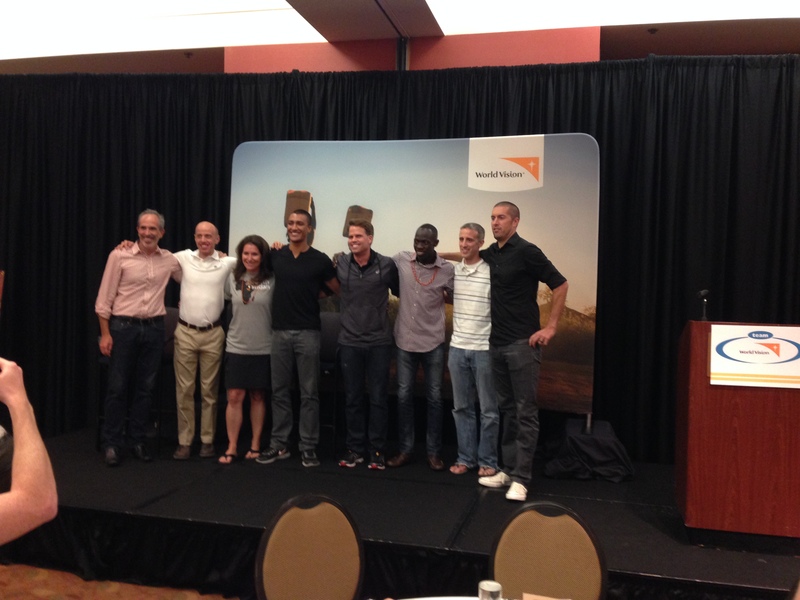 While gathered we were inspired by Jenny Hadfield, Ashton Eaton, Josh Cox, and Lopez. Each shared their thoughts on the challenges that would lie ahead of our teams as we began the 198 mile race towards the coast of Portland. When the race finally began for our teams it was 10 AM. The first runner was off and I had some serious butterflies in my stomach. Lopez and Brittany hopped back into our van and rode down the mountain to the first relay handoff, the start of Leg 2–my first leg. Leg 2 covered a distance of 5.6 miles and dropped over 1500 ft in elevation and I was able to run it with an average pace of 6:42 per mile. It was absolutely crazy fast and wild to be running down the side of a mountain with semi trucks passing you along the side. I had the honor of handing off our relay bracelet to Phillip Reynolds, a 13 year old who refused to complain. After each of my 3 legs, Phillip was there waiting for me in the handoff point with a smile and ready to go. After running my first leg I had the joy of cheering on my other team mates and resting up for my second leg that would go run along the Williamette River on NW St. Helens Rd. The second leg started off fantastic with a great pace and feeling solid. Even more fun was the idea that Lopez and his fiancée, Brittany, were running the leg about a mile ahead of me. While it had a good start, this second leg was the hardest for me. When leaving home for Portland I had forgotten my watch due to a last minute bag change. This left me running in the dark and trying to figure out how long I had been running without a good sense of distance or time. As a result, my strong start and a sense that I had only a short distance remaining of my total 6 miles had me feeling great… until I ran past a spectator and they informed me I was doing great and HALF WAY THERE! This hit me like a ton of bricks. Here I had thought that I was doing great and near the finish and then I found out that I still had another 2 – 3 miles to go and wasn’t sure if I could keep up the pace. After about another mile… (I think) I wound up taking a 30 count walking break to regroup and decide my strategy for the remaining distance. I decided to slow it down a bit to a more comfortable pace and try to just finish the leg well. The lure of other runners to pass pulled me in and I found myself running faster than normal again after about a mile. Once again I intentionally slowed for a 30 count break and then finished out the miles feeling strong physically and weak mentally :). My average pace time for the second leg was around 7:45 minutes per mile. Once again I found myself cheering on and being incredibly inspired by my team mates. Brian was always incredible to watch as he was running between 5:30 and 6:00 minute mile paces… super fast in my book! Equally inspiring was Phillip, the 13 year old. He was consistently running 7:30 minute miles or faster and doing it with a healing hamstring. After the second leg Phillip’s stomach started bothering him and even then, he did not complain and did his best to work around the team’s leg running schedule (when we needed to be at the next leg to keep our team mates from waiting on us). By 11:45 PM Friday we were through most of Portland and handing off to the second van as they started the trek from Portland towards Seaside, OR. After handing off, several of us grabbed a plate of pancakes, sausage and scrambled eggs from a school booster. Pretty good and hit the spot after a day of running and eating mostly cliff bars and bananas. By 2 AM we had found a place to park for a few hours of rest, our poor drivers needed it! We decided to stay in the van. I slept on the floor between two of the van seats and did my best to capture a few z’s. I don’t know how many hours of sleep I was able to capture; but, I do know that I was more than ready to stretch out and pack up the bags when the alarms went off at 5 AM. Leaving the sleeping lot, the traffic was pretty heavy. As it turns out, I wasn’t the only person who had a hard time tracking mileage 🙂 When we left the sleeping lot, we needed to drive about 4.5 miles to meetup with the other van and take over running. We drove for a bit in the traffic and then it was determined that we were within about 1500 ft. of the meetup location (~1/4 mile). We were all a bit concerned that the other van would be waiting there for us; so, myself and the next runner jumped out to get to the meetup ahead of the traffic. After about 2 miles of walk/jogging our team mate from the other van ran past us and said that he had found our van near the start of his leg ~ 1 mile in (which means that when we hopped out we had about 3 – 3.5 miles to go… not 1500 ft). We laughed it off and then continued onto the meetup location. Our runner reached the meetup a few minutes ahead of us. After handing off and getting the next runner going I decided to just continue walking forward toward the next leg handoff about 3.5 miles ahead of me. I was the next runner and so I figured better for me to get there as quick as possible since the van was still stuck in traffic. About a mile into the 3.5 miles our van passed me and pulled over so that I could hop in. We quickly covered the 2.5 miles remaining in the leg and passed our runner on the road. By the time the van parked and I hopped out, our runner was almost to the handoff. He handed off to me and I was off, running my final of 3 legs in Hood To Coast 14. I had two options to take (1) Run like crazy and get through the leg in the shortest possible time leaving it all on the road, or (2) Run at pace that was pretty easy and calm while enjoying the beautiful Oregon morning with mist/fog surrounding the nearby hills and the sun breaking through… I picked option 2 🙂 I found a guy who was running around 8:30 minutes per mile and used him as a pacer for my run. 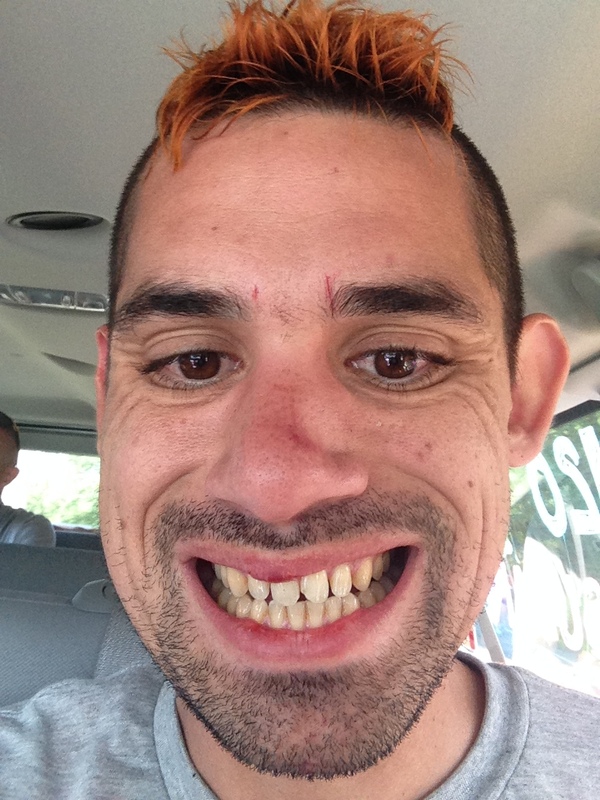 We wound up having a great conversation throughout the run and I had the opportunity to share Lopez’s story and the purpose for our run with him, including telling him about the other great things World Vision International does around the world. I finished the leg feeling great. Brian had one more crazy run in front of him, a 6 mile leg with 3.5 miles uphill followed by about 2 miles downhill. He nailed it… again very inspiring. While I had finished my running legs… my running legs were not quite ready to stop running 🙂 After rooting on our second van through its leg 32 – 33 handoff my van mates and I had to climb a decent hill to get back to the van. Looking at the hill and feeling my quads, I decided that I would feel much better if I ran up the hill rather than slowly walking the hill. Feeling a little crazy, I socialized the idea with a few of my friends who were walking near me. One of them offered up, the notion of racing up the hill. At the time it sounded like a great idea. We started off and I was feeling really fast. I took a quick lead; however, shortly after that my legs started to feel out of control. Before I knew it, I was being passed and on the edge of wiping out. The inevitable happened. I found myself falling towards the asphalt hill and ended up with a face plant. Those who were behind me had some great stories to tell of how the events looked from their angle… rather crazy. I recovered quickly from the face plant; but, that was the last of my racing for the weekend. By 4:00 PM on Saturday we had finally reached the end of the race. We were all both ready to finish and regretting that it was over so fast. When our final runner came through the finish area we were able to join him on the course so that we could all cross the line together. Both Lopez and Brittany joined us as we crossed the line and celebrated our finish. After a brief and cold… very cold… time at the Seaside beach our team was ready to head back to Portland. In Portland we cleaned up and then hung out for drinks, doughnuts and stories in the lobby of our hotel. It was truly amazing and a time that I will not soon forget, leaving me sore, jostled and inspired to figure out more ways that I could help. Thank you for all of your prayers and support, it was felt and made all the difference in the world. I am lucky to have had the opportunity to spend 31 hours in a van with 8 amazing guys while we participated in a race that resulted in over $550,000 in funds to provide clean water for the people of South Sudan or 11,000 people. That’s 11,000 people that you helped to provide an opportunity of life. While plans are always open for edit as our life is not our own, at this time I plan to join Team World Vision next year for Hood To Coast 15 if they extend me the invite. Please consider this as you plan our your giving for next year. 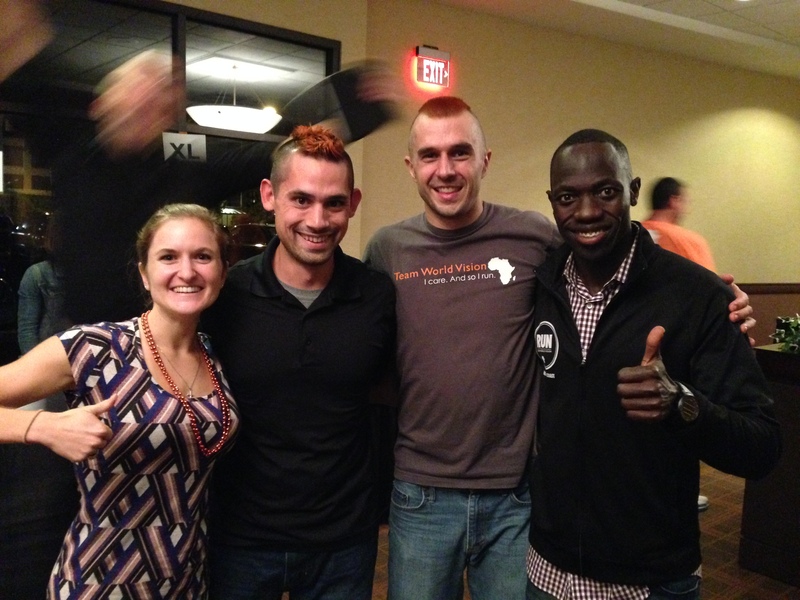 If you would like to give in support of or participate as a member of team world vision, its never to late. In 2015 we are planning to raise $1,000,000 4SouthSudan. If you know of somebody who may be able to help that has a heart for the people of Africa, please consider asking them to join you in providing the gifts of water and hygiene for life in South Sudan.